Stainless steel combines desirable mechanical properties with a known and proven level of corrosion resistance. Stainless steel is one of the most popular alloys to electropolish because it enhances its corrosion resistance properties. The performance of stainless steel alloys are well known and fully documented, and despite these known properties and use within an appropriate environment, stainless steels can still fail from corrosion. 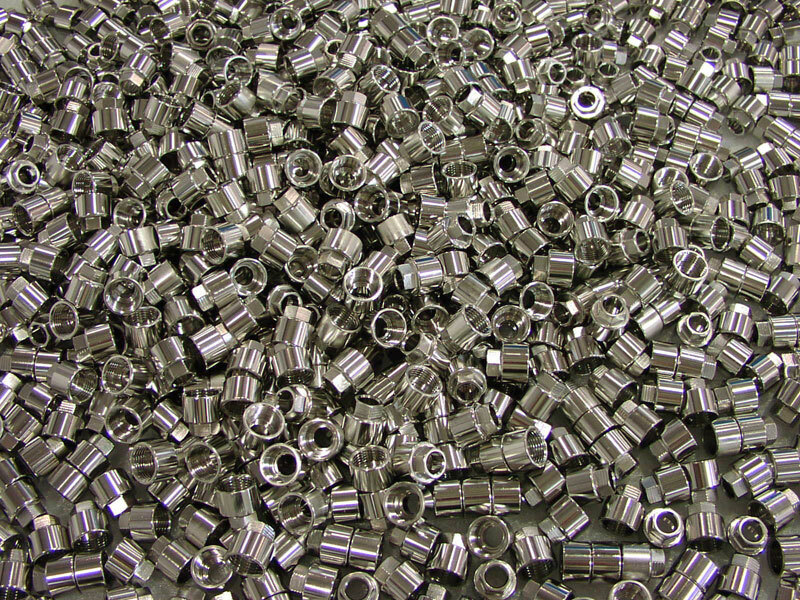 All stainless steels are iron-based alloys (minimum 50% iron) and have at least 10.5% chromium. The chromium content is the key to stainless steel's basic corrosion resistance. When the chromium is exposed to oxygen, it spontaneously forms a passive oxide layer. This passive oxide layer is very thin, yet it prevents further diffusion of oxygen into the base material and thus prevents corrosion. Stainless steel electropolishing enhances the passive oxide layer by making it thicker, and therefore more resistant to harsh environments. Further details can be found in our discussion of electropolishing stainless steel and other metals. Corrosion resistance is not the only advantage that is improved when electropolishing stainless steel. An electropolished surface also repairs surface finish, makes the material easier to clean, and gives the material a striking finish. #4 finish - A widely used, general purpose finish produced by finishing with a 120-150 mesh abrasive. This finish is commonly found on architectural panels and stainless steel kitchen appliances and sinks. #2B finish - A bright, cold-rolled finish. This finish is a standard finish for raw sheet metal and is produced at the mill. #8 finish - A highly polished, highly reflective, "mirror like" surface . This finish is produced by polishing with successively finer abrasives followed with extensive buffing.